Fortunes Potatoes at Monart. 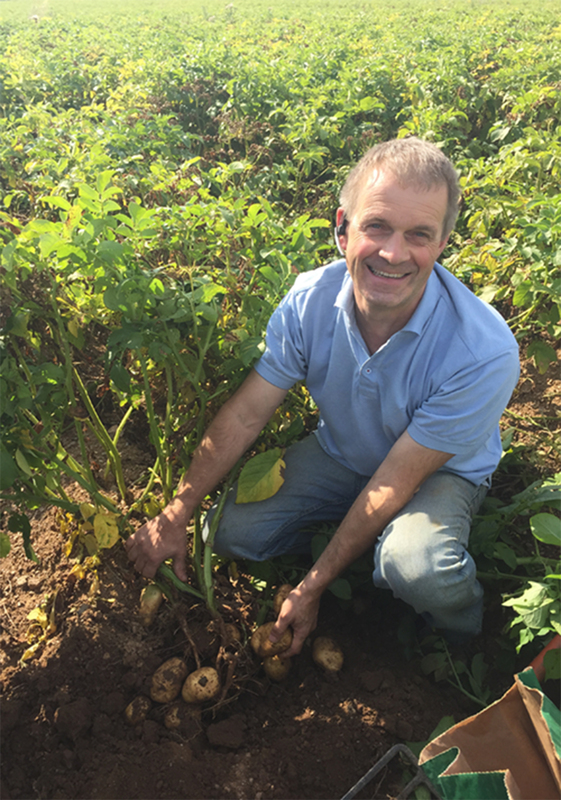 Johnny and Chris Fortune grow potatoes in Kilmore, Co. Wexford. They have been growing potatoes for the last 30 years and they have been supplying Cullens Fruit & Veg for the last 20 years. Dara Cullen from Cullens fruit & veg is Monart’s local fruit & veg supplier. Dara and I went to visit Johnny Fortune. I’ve been growing potatoes for the last 30 years but my dad started growing potatoes back in the 60’s. 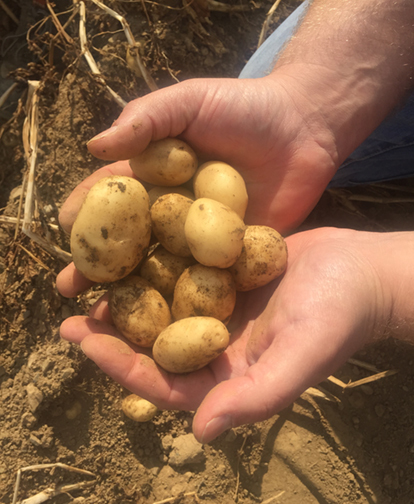 What’s the biggest change you’ve seen with growing potatoes in the last 30 years? Definitely the salad potatoes they didn’t exist back then now they would be one of the most popular varieties. They’re handy and easy to cook with and they are clean when you buy them, they have a waxy texture and nice clean skin with little eyes. The machinery has come a long way as well. 30 years ago you would have a lot of people out picking the potatoes back then and I know why there was no baby potatoes back then because I don’t think you would of found anyone to pick them they would just take so long! Salad potatoes don’t take too long to grow but there are huge numbers of these potatoes from each crop. They take about 12 – 16 weeks to grow. Don’t give them enough room to grow so we plant them tight together. There is a very fine line when you’re planting them, if they are even an inch to far apart they will grow too big. Apart from the salad potatoes which are the most popular brands? The most popular brand for chipping is the markies as this seems to tick all the boxes, easy peel, clean skin and a great flavour. Rooster potatoes are the best for mashed and roast potatoes because they are nice and fluffy. How do you know when the potatoes are mature and ready for harvesting? 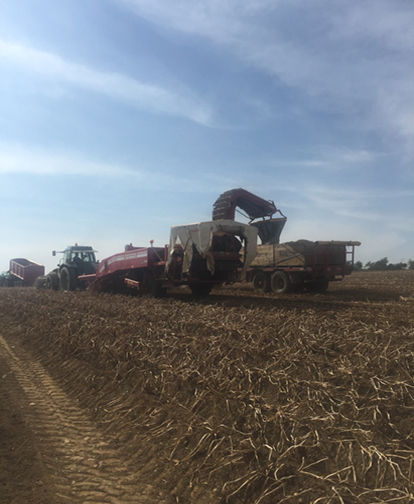 We test our potatoes every week, we test for dry matter on the potato and sugar levels this ensures us that we have a quality product every time. What’s the best season to grow potatoes? The key is to sow them late March early April but you know the Irish weather is very unpredictable so I can’t say that there’s a good season it all depends on the weather conditions. How can your crop of potatoes be used all year round? Basically it comes down to storage. When our crop is right (dry matters & sugar levels) we harvest and our produce is placed in to special storage with underfloor heating and air vents. This keeps the potatoes in perfect condition throughout the year. They are stored at 8.8 degrees, this is the perfect temperature for storing potatoes. How does this harvester work Johnny? 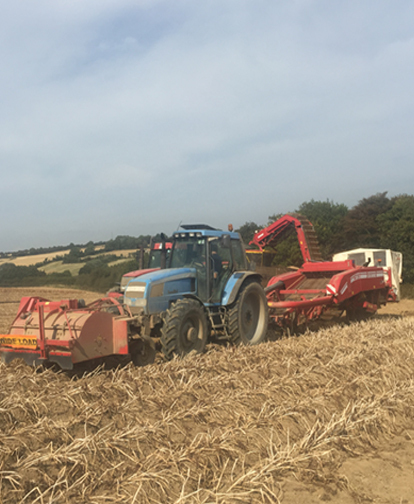 With the amount of potatoes we have growing here we use this tractor and harvester which digs up the potatoes; grades them and spits out stones and any potato thats too small or too big. Do you experiment with different varieties of potatoes every year? Yes we do! Nursia and rockstar are 2 different varieties we are trying this year. Our field is on a slop here and this helps the water flow down the field. You can plant potatoes on flat land but a bit of a slop is ideal so the field cant get waterlogged. It really depends on the field but if it is too hilly you wont get the machinery on it. Searching for the perfect land to plant potatoes on is like writing your Christmas letter to Santa you want it but you may not get it says Johnny. When we store the potatoes they have to be totally temperature controlled. Potatoes need to be kept at 8.8 degrees. We have personally tested it and we find 8.8 degrees is the best temperature for the potatoes. The reason it is kept at 8.8 degrees is to fool the potato so it doesn’t keep growing! Until the potato is peeled the potato is alive, they’re always breathing. When growing potatoes there is a lot to think about, they need a lot of care and attention. If we don’t get the right weather we just have to sit and wait for the crop, we can’t push them they will be ready when their ready. We keep very tight records of the potatoes from the day they were sowed to the day were harvested to the day they were stored to the day they were sold! These potatoes are served on your plate in Monart, they’re locally grown and locally served, it’s fantastic to stay local it makes such a difference. 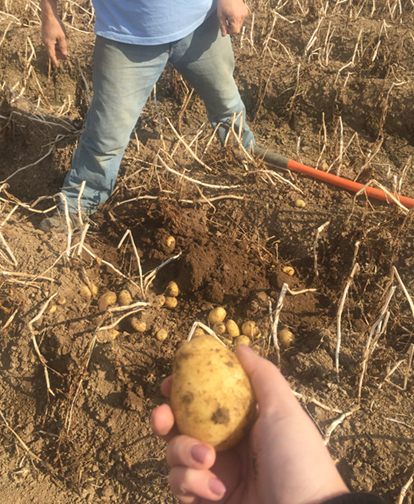 The potatoes are graded as soon as they are harvested. We bring them in to our store room and then they are graded again. The first grading is done to get rid of all the stones and small potatoes then. The second grading is then done to ensure we have the best potatoes ready to go to Dara in Cullens Fruit & Veg so he can chip slice and peel then deliver them to Monart.